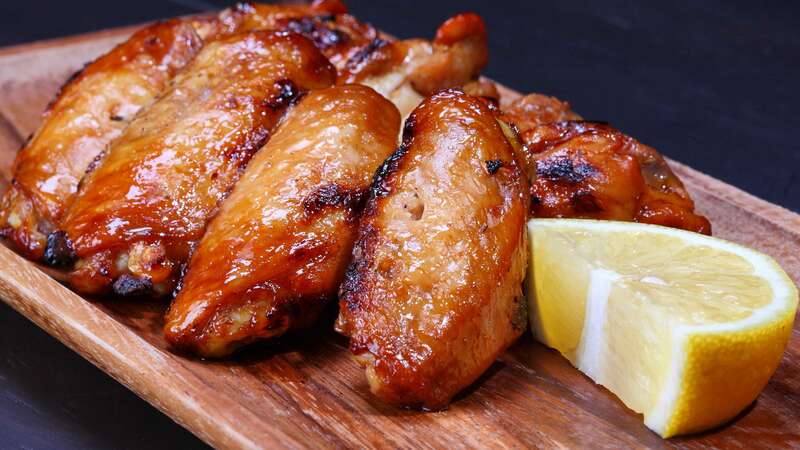 Place thawed chicken wings in large ungreased baking dish; bake 30 minutes or until cooked and crisp, turning after 15 minutes. In large microwave-safe bowl, combine hot pepper sauce, butter and chili powder. Microwave on high 1 minute until butter is melted; stir well. Add the cooked wings and toss until well coated. Serve immediately with your favorite dip or by themselves.